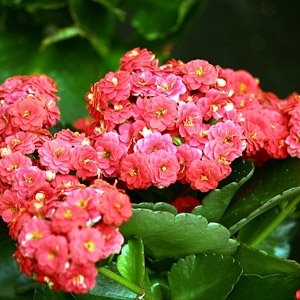 Kalanchoe (Kalanchoe blossfeldiana) is a popular houseplant typically available for sale during late winter and spring months. 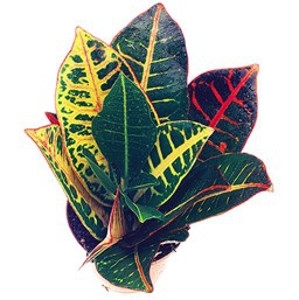 It is a durable flowering potted plant requiring very little maintenance in the home or office. Bromeliads are often grown for their beautiful, colorful bracts that accompany flowering, or the unusual and brilliant inflorescence they produce. 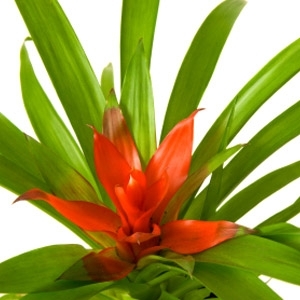 However, there are many bromeliads that have stunning foliage. 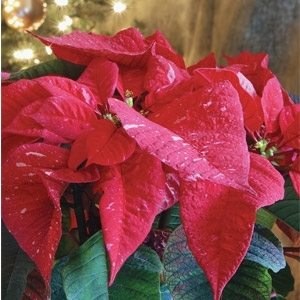 Poinsettias (Euphorbia pulcherrima) remain one of the most popular holiday flowers. The showy colored parts of poinsettias that most people think of as the flowers are actually colored bracts or modified leaves. There are more than 100 varieties of poinsettias available today. Poinsettias come in colors like the traditional red, white, pink, burgundy, marbled and speckled. 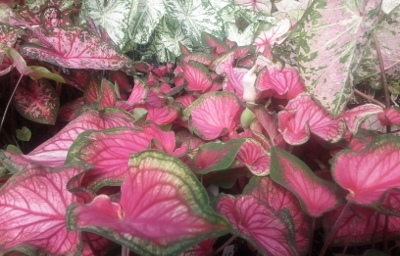 Caladiums are tropical plants growing from tubers, most known for their colorful foliage, and used as a houseplant or summer bedding plant. 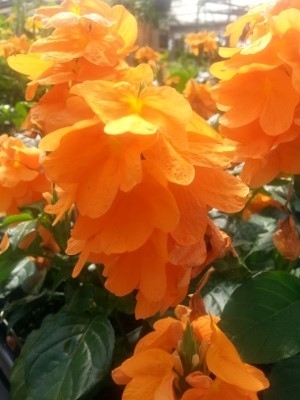 Clusters of widely flaring soft orange blooms are borne throughout the year and are held above and among the rich deep green foliage on an upright to spreading herbaceous tropical. Crossandras are excellent for mixed containers and in the garden for bright color in shaded areas where they often flower until frost. They can tolerate full sun but at least here in the hot South they have a tendency to curl their leaves on the hottest days.